2004-2012 Member of the Executive Board and of the Governing Council, European Central Bank (ECB). 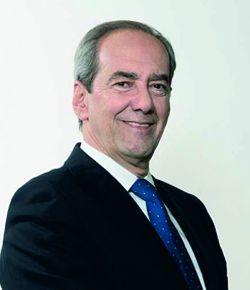 1994-2004 Member of the Governing Council and of the Executive Committee, Bank of Spain. 1985-1994 Economic adviser, various public and private institutions including Bank of Spain European Commission, IMF and World Bank Group. Ph. D., M. Phil. and M.A. in Economics, Columbia University, New York. Ph.D. in Economics, Universidad Complutense de Madrid.